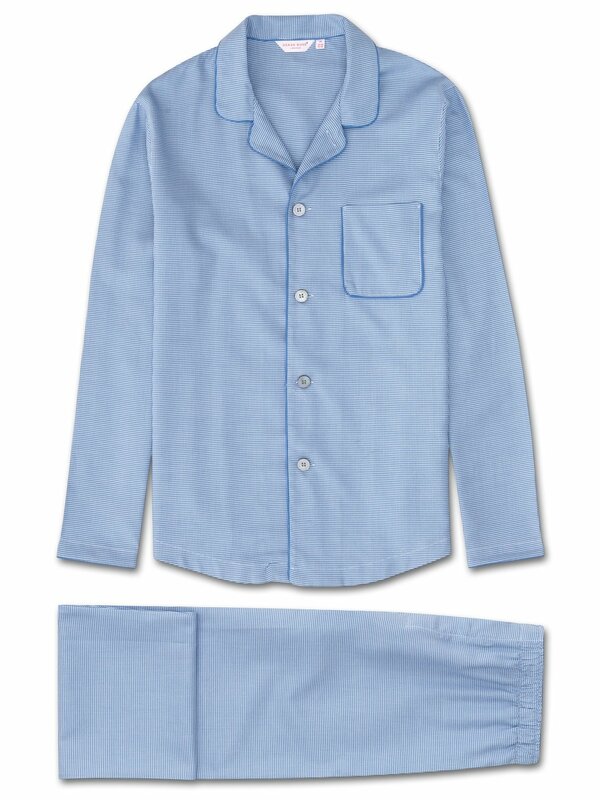 For a design that's sure to last the years, our Barker 19 modern fit pajama features a light blue and white 'puppytooth' check allover for a stylish sleep essential. 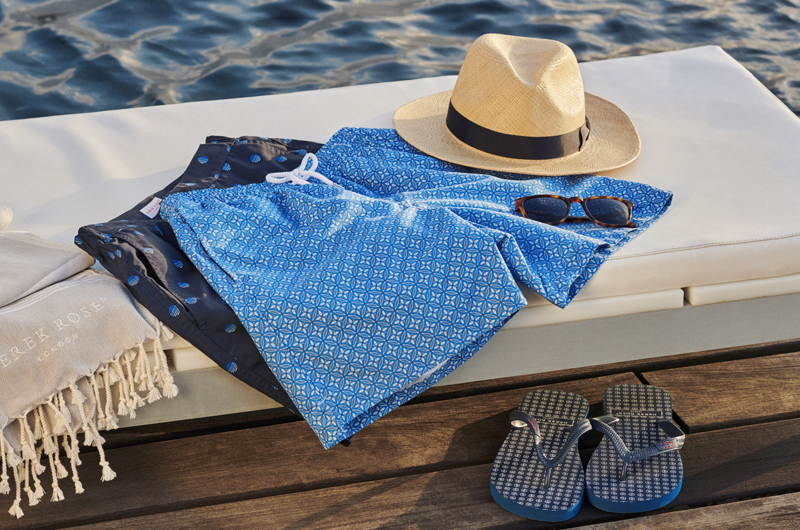 Like all of our modern fit pajamas, the Barker 19 is designed for a slimmer and contemporary cut; one that is closer to the body without being restricting. Made from a mid-weight 100% cotton that's woven into a soft fabric, this luxurious pajama has a crisp and comfortable feel that makes it ideal for cosy nights in and laid-back lounging.The jacket features a sartorially-inspired curved collar, mother of pearl buttons throughout and a piped breast pocket. Furthermore, the rest of the jacket is piped throughout with a complementary blue piping.